Custom aluminum bleachers are sometimes the smart alternative. We know there are unique situations where our standard aluminum bleachers might not be the right fit for your location or needs. Don’t worry. 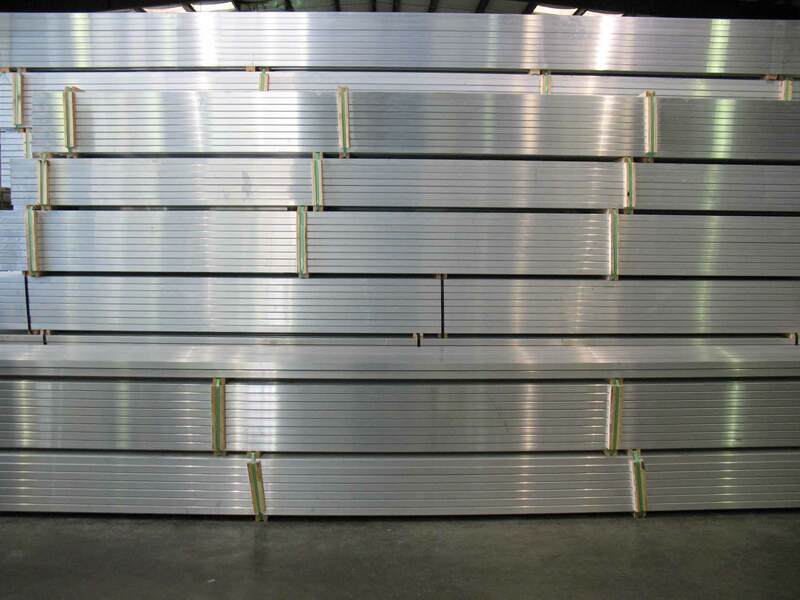 We have engineers and designers on staff who can create custom aluminum bleachers to meet your specific requirements. Plus, our custom bleacher layouts are FREE. Need for more seating capacity. The number of rows requested is not in the standard price list/catalog offering. Certain types of egress, stairs, walkways, ramps, etc. We understand. Adding aluminum bleachers to any location is a major endeavor. You want to get it right. Many times, there are special circumstances that must be addressed. No two venues, stadiums or sports fields are alike. Today aluminum bleachers are used at parks, sports centers, municipal fields, multipurpose schools, secondary schools, colleges, universities, theme parks, clubs, parade routes, fairgrounds, golf courses, campgrounds, rodeo arenas, swimming pools and many other facilities. At AluminumBleachers.com, we are not a cookie-cutter type of manufacturer. Our experienced staff will be glad to work with you to create seating layouts that adapt to your specific requirements. Perhaps your site calls for elevated bleachers. While these elevated structures provide better sightlines for spectators, they do require a different configuration than standard bleachers. 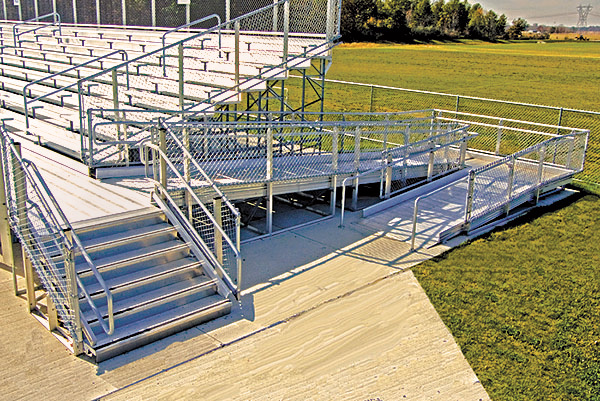 That specific type of sports bleachers would include an elevated front walkway platform with front guardrails, entry stairs and/or accessible ramp, aisles with handrails, a riser plank and double foot planks on all rows. Maybe you need longer bleachers for additional capacity. Or you want to add a special platform. Over the years, we have created custom seating layouts for hundreds of facilities and have seen many situations that might be similar to yours. Not just in the US, but around the globe. And remember, our bleachers are manufactured in the USA and meet International Building Code (IBC) requirements for safety, design, and construction. As the need for spectator seating grows, so will customization. According to a 2015 study, bleacher seating was included in the top 10 new additions that managers planned to add to their facility. With that kind of demand, you will want to work with a partner who can be flexible. Give us a call. You need a manufacturer of aluminum bleachers with experts on staff, who will consult with your team, and create the right spectator seating for your space, no matter how different it may be.